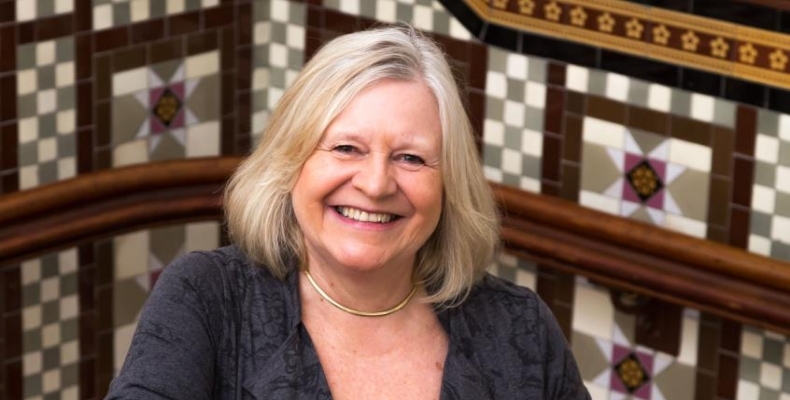 Jo Verran, emeritus professor from Manchester Metropolitan University, has received a prestigious award in recognition of her innovative contribution to public science engagement. The American Association for the Advancement of Science (AAAS) awarded Verran the Mani L Bhaumik Award for Public Engagement With Science. Verran’s “colourful” approach to science engagement includes zombie, vampire, werewolf, and ‘bad bugs’ book clubs for members of the public both in Greater Manchester and across the country. Much of Verran’s public engagement work originated in her teaching, and engaging students in microbiology. Examples of Verran’s unique approach to science engagement include the annual ‘Science Corner’ at Manchester Children’s Book Festival, through which she has been encouraging thousands of children to be excited by science. The Bad Bugs Bookclub, launched in 2009, continues to attract regular readers who meet to discuss infectious disease in fiction. Jo has brought her microbiology expertise, enthusiasm, innovation and research rigour to public engagement and more formal education with great success and impact. Verran also brings science to life through popular interest in mythical creatures. In 2011 she worked with computer scientist Dr Matthew Crossley to develop a mathematical model called SimZombie, which simulates zombie, werewolf, and vampire outbreaks to explore the impact of microbiology. Professor Helen Laville, pro-vice-chancellor for education at Manchester Metropolitan, nominated Verran for the award. Laville said: “Jo has brought her microbiology expertise, enthusiasm, innovation and research rigour to public engagement and more formal education with great success and impact. She became emeritus professor in January 2018, but continues to engage with audiences and mentor peers. The AAAS Mani L Bhaumik Award for Public Engagement With Science, was established in 1987 to recognise scientists and engineers who demonstrate excellence in their contribution to public engagement with science. The recipient receives a prize of $5,000, a plaque, complimentary registration, and reimbursement for reasonable travel and hotel expenses to attend the AAAS Annual Meeting, this year in Washington DC, to receive the prize.